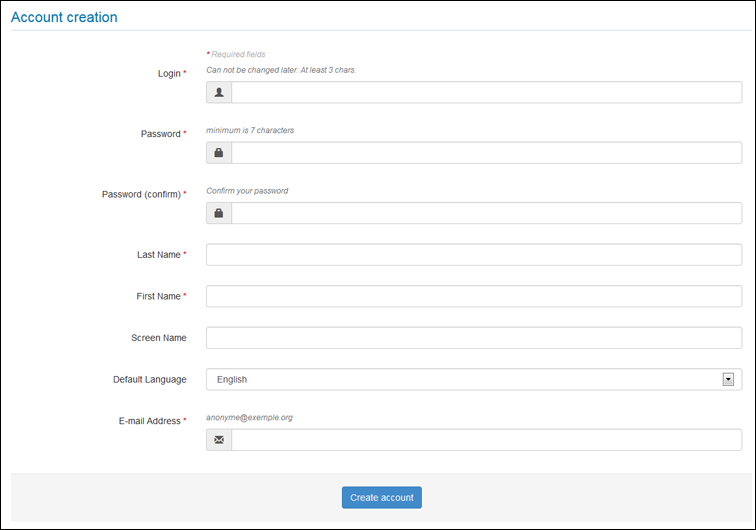 Fill in the form to create an account : a valid email address, a username and password are required. Activate the link received by email to validate the creation of your account (check if the email did not arrive in spam). The account is created, you can log in. To modify your account, select “Edit Profile” when passing the mouse on the top of the login screen or select your “Dashboard” and “Edit profile”. You may add a middle name, an url (personal website for example), your phone and/or fax numbers, a picture. To modify your account, select “Change my password” when passing the mouse on the top of the login screen. If you forgot your password, select “Forgotten password ?”. Enter your username. You will receive an email with a link to a page where you can easily create a new password. 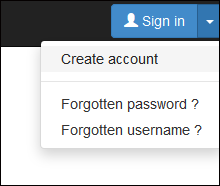 If you forgot your login, select “Forgotten username ?”. Enter your email address. You will receive an email with your username.